Tactical training courses are often overlooked by gun owners as a valuable asset because they seem to think that they wouldn’t benefit from that high of a level of training — after all, it is a rarity to be involved in a situation where tactical firearm skills are necessary as a civilian. Here at Tactical U Firearms training, we have two arguments to make in favor of taking part in a tactical training course for civilians. The first reason that we believe in the importance of tactical training is that while yes, it may be a rarity to be involved in a tactical situation where you need to be able to use your firearm with accuracy, it is not impossible. Second, and the topic that we will discuss more in-depth today, is that tactical firearms training can improve your ability to handle a firearm — regardless of the situation to which you use it. 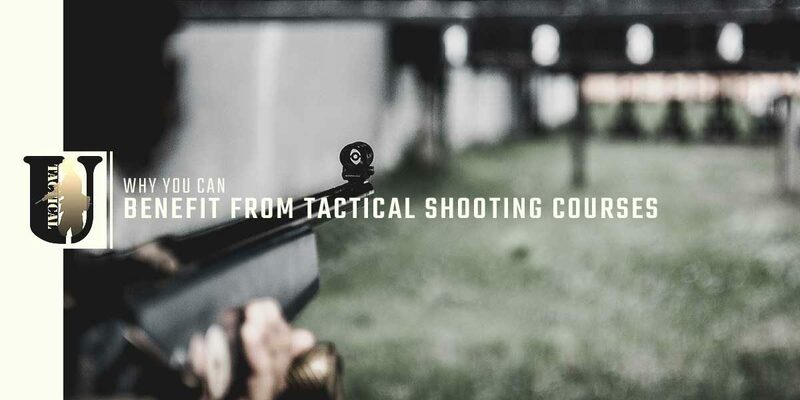 Below, we will discuss some of the more practical improvements that you might expect to see in your shooting skills after participating in a tactical firearms training. You might start your journey to become more comfortable with your firearm by visiting your local shooting range with a friend who has experience in shooting, but you won’t see true improvements in your comfort with a firearm until you take a tactical firearm course with a professional shooting instructor. All it takes is a quick search on the internet. Searching “tactical training near me” might send you to us here at Tactical U Firearms Training, where our experienced instructors can make you more comfortable with your firearm by educating you and drilling you in different shooting techniques and styles until you feel comfortable with your firearm. For some experienced shooters, it is common to hit a “glass ceiling” when it comes to their accuracy with their firearm. The inability to improve one’s accuracy is usually a result of a bad habit that they have developed — a simple mistake that may just take another set of eyes to notice. At Tactical U Firearms Training, our experienced instructors spend a good deal of their lives around firearms and shooters of all skill levels, making them extremely precise in being able to determine the root of your shooting inaccuracies. By taking a tactical firearm training course, not only will you have help in identifying the root of your issues, but you will also be able to correct them by utilizing real-world practice applications. Most people go their whole lives only experiencing tactical firearm training courses in the military or in the introduction to an inaccurate video game. Luckily, at Tactical U Firearms Training, you can enroll in various tactical training courses for civilians and experience it all firsthand. Not only will you have a good time learning how to handle and discharge a firearm in a tactical situation, but you will also improve your accuracy, develop your skills, and become more comfortable with your firearm. Enroll for a tactical firearm training course online today or contact us to inquire about what course would be right for you. We look forward to training with you!